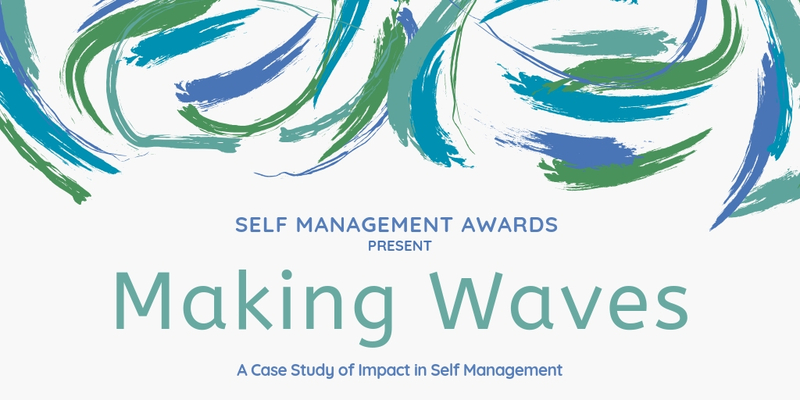 As shortlisted nominee of the 2018 Self Management Project of the Year Award, we want to share with you the learning from Aberdeen Foyer’s Outreach Project and their success in supporting self management in Scotland. Working within the Aberdeen Recovery Community contract, Aberdeen Foyer’s Outreach Project was established in 2014. The Outreach Project’s mission is to enable individuals to look within themselves and find out what really makes them tick, what gives them the confidence to become involved in their community and what gives them the self-belief to stay on their recovery journey no matter how many twists and turns it may take. The Outreach Project is an excellent example of Aberdeen Foyer’s wide-reaching commitment to imbed self management within its own services and to promote and imbed self-management across Scotland. “Aberdeen City Health and Social Care Partnership. The Outreach Project was showcased at ACHSCP Annual Conference, facilitating many opportunities to speak with delegates about its self management approach to service design and delivery and highlight the positive impact the project has for individuals in recovery across the city. Outreach Project staff were also invited to participate in ACHSCP co-production training to share their learning and inspire NHS and local authority partners to invest in a self management approach. This training was delivered by Governance International, who went on to showcase the work of Aberdeen Foyer on their website as an example of the positive impact of a self-management and co-productive approach to service design and delivery. Recovery Champions – The Outreach Project recognises that the visibility of positive behaviour change has been central to challenging stereotypes and discriminating attitudes within communities at a local and national level and continually demonstrates a committed approach to sustaining a recovery community and to confronting and reversing long-held stigmatised attitudes. Outreach Project participants, peer mentors and volunteers are supported to share their recovery experience within their local community and become Recovery Champions should they wish. Friends, family, health/social care professionals and community members are regularly invited along to group sessions, open days and prize giving events to capitalise on every possible opportunity to celebrate and promote self-management in recovery. Annual Recovery Week Activities – Outreach Project staff, participants, peer mentors and volunteers are supported and encouraged to participate in this annual nationwide celebration of recovery including recovery walks and social activities across Scotland – providing many opportunities to promote self-management in recovery and challenge stigma and stereotyping. Aberdeen and Aberdeenshire Alcohol and Drug Partnership – Aberdeen Foyer works in close partnership with both local ADPs and supports project members to attend forums at a local level – to share their experiences and promote the self-management, co-productive approach adopted by the Outreach Project. Success stories are celebrated and shared widely via their newsletters and websites. Social Media – In addition to accredited learning, Outreach Project IT sessions enable positive use of social media and staff, participants, peer mentors and volunteers are encouraged to use the project’s Facebook page to share information about the project and about individual and group achievements. This provides a wide-reaching platform to promote the positive impact of self-management in recovery. Self-Management Networks (local and national) – Aberdeen Foyer is committed to the development and promotion of the self-management network in Grampian and across Scotland and the Outreach Project regularly feeds into the Grampian Self-Management Network to share examples of best practice and learning. DWP – Staff within the Outreach Project have worked extensively with their partners at DWP to share their learning about the positive impact of taking a self-management approach in supporting individuals in recovery. By attending DWP team meetings and providing regular information sessions to advisors and work coaches we are enabling and engendering a steady shift in mindset and a move away from a prescriptive, punitive approach to one that promotes individual choice and realises potential. This is reinforced by the positive behaviour changes clearly in evidence by Outreach Project participants who continue to work with DWP or move on and into employment. Ministerial Visits –The Outreach Project has hosted a variety of ministerial visits including Jeane Freeman who was, at that time, the Minister for Social Security. As a fact-finding mission for Scottish Government in relation to the impact of welfare reform (in particular Universal Credit) on individuals in recovery, this visit provided the project with an opportunity to showcase the work being done and the effectiveness of self-management in recovery. It also gave project participants an opportunity to have their say and feel truly heard. Jeane Freeman is now the Minister for Health. Find out more about Aberdeen Foyer’s Outreach Project by visiting their website, https://www.aberdeenfoyer.com/ (this link will take you away from our website).